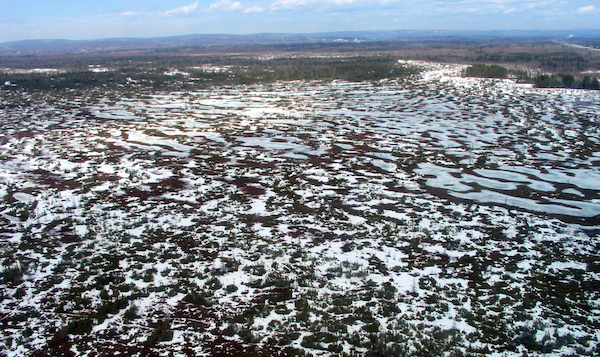 Peatlands are wetlands composed of plant residues accumulated over thousands of years. Although they are widespread in the Quebec landscape, they remain unknown to a large part of the population. However they provide us with many essential ecological services, such as water filtration and flood control. They are also valuable allies in the fight against climate change through their role in carbon capture. 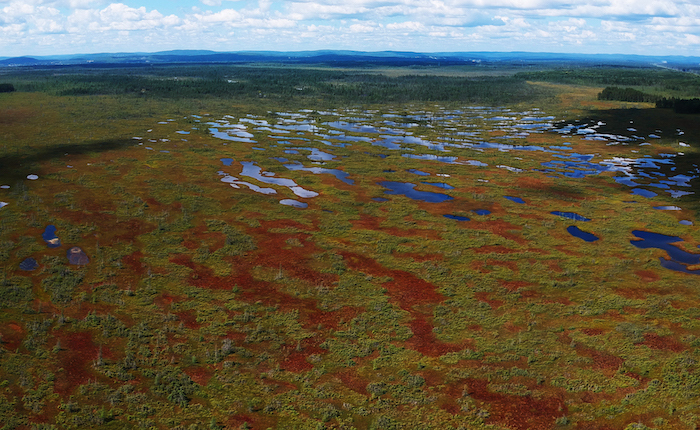 The ability of peatlands to store carbon in the form of peat and prevent its release into the atmosphere illustrates their essential role in the fight to reduce industrial pollution and greenhouse gas emissions. 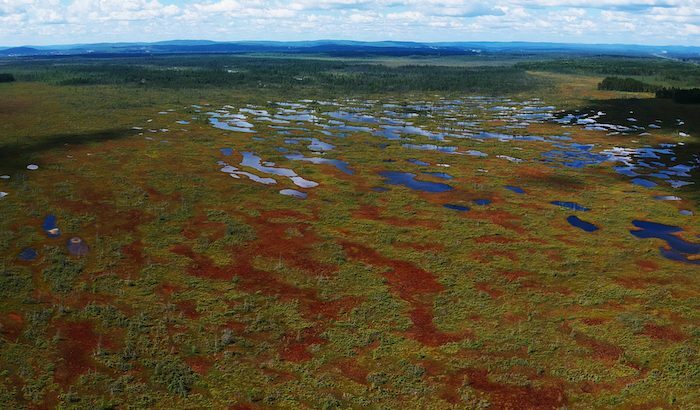 Peatlands contain more than a third of the planet’s terrestrial carbon stock (the carbon emissions absorbed by the Earth), which is a considerable amount! A better understanding of the climatic and environmental conditions that affect the development of peatlands is essential for predicting how they will respond to current and future climate change. This is especially important if we want to preserve the essential ecological services they provide us. Just getting around the Lac-à-Tortue bog was an adventure! For two consecutive summers, my team and I traversed the 66-km2 site on foot. Most of the time, rain boots proved useless as the water reached our knees. 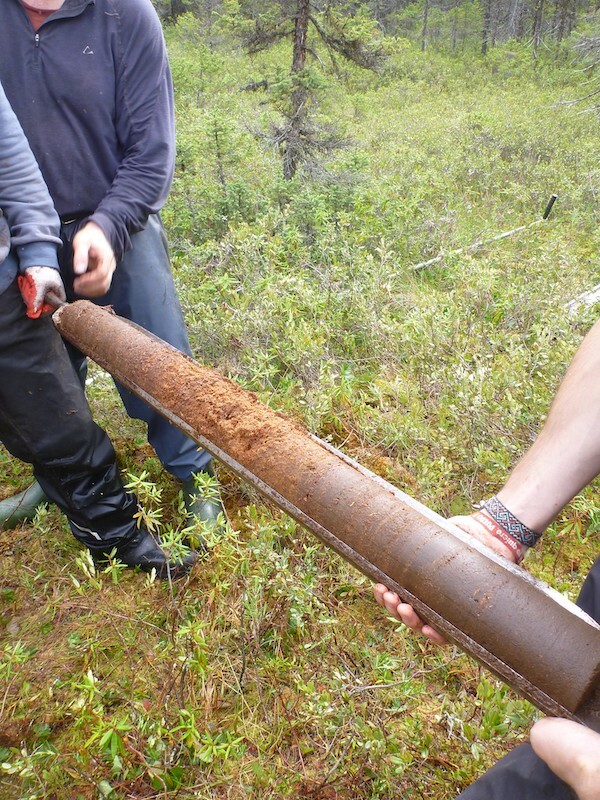 We battled voracious flies and intense heat while carrying a peat corer, a tool that helps gather soil samples. This was used to collect our precious peat cores — the peat samples that would allow us to learn more about the history of the vegetation. Louis-Martin Pilote is a research professional at the laboratoire de paléoécologie continentale de la Chaire Déclique (Geotop-UQAM) and has a master’s degree in geography. Passionate about biogeography, Louis-Martin devotes himself to the study of northern peatlands, the history of their development in association with the landscape, their role in the global climate system and their surprisingly diverse and colourful flora. Environmental and Earth Sciences, NCC Louis-Martin Pilote, Nature Conservancy of Canada, NCC, peatlands. permalink.